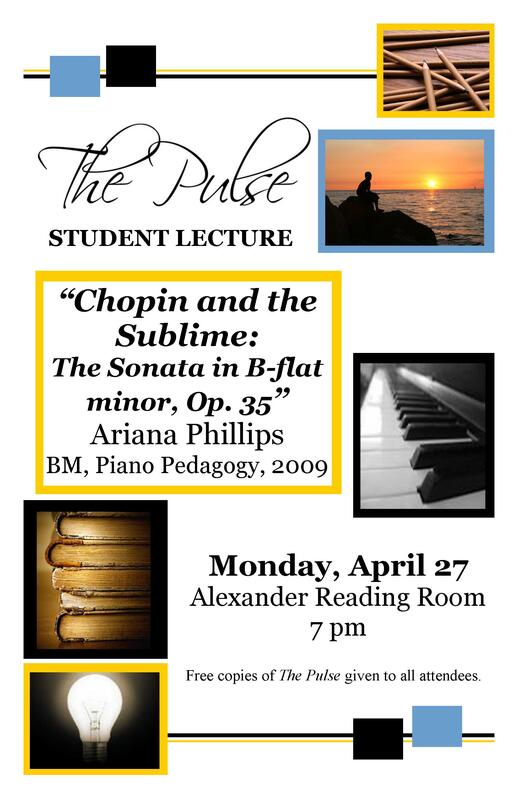 This lecture was held on April 27, 2009 at 7:00pm in the Alexander Reading Room. Congratulations to Ariana Phillips and all of the other authors featured in the Pulse. For pictures of the lecture, please click here.